Laurent Garnier: "Today, without internet, you're dead"
If there’s a musical style right now that symbolises Europe, it really is electronic music. For the last 20 years, the French producer and DJ Laurent Garnier has been one of its principal movers and shakers. Underground star, respected musician and indefatigable traveller, how does he see Europe today? With the European elections looming, euronews asked for his opinion. Exclusive interview. euronews : Laurent Garnier, hello. Laurent Garnier : Hello. euronews : You travel a lot, so is Europe a source of inspiration for you? LG : Of course. But not only Europe, the whole world! It’s true that I spend more time in Europe than anywhere else. I’ve been going round Europe and the world for 20 years. I’ve travelled a huge amount in the UK, in Germany, in Belgium and Holland. I’ve spent a fair amount of time in Spain, in Italy too. I’ve also spent lots of time in Eastern Europe, so of course it’s a source of inspiration. But it’s also everyday life, travelling… euronews : Does so much travelling make you feel European? Do you feel more European than French? LG : Yes, I feel completely European, I’ve never felt French. That’s obvious. In my head that’s always been absolutely obvious. I went to the UK when I was 18, and of course when you leave home you start to live your own life so my feeling is that I started my adult life in the UK – you know, my life as a big boy, as a “grown up”. There was no-one following me about any more saying “you can do this” or “you can’t do that”… I feel much more European than French, that’s for sure. For me it’s really weird when people say “You’re French!”. I say no, I think I’m more European than French. euronews : So exactly where is Europe on the world map when it comes to electronic music? LG : I think that in the past, maybe 20 years ago, Belgian music was easy to recognise, British music, music from the United States, and from specific US cities like Chicago, Detroit, New York… there are styles which are completely specific to certain countries, but… Euronews : Less and less? LG : Less and less. Today, the barriers have completely disappeared, and no country really has its own personality. On the other hand, there are music styles which happen just like that (in waves). Right now for example there’s this thing they call “the French touch” – with a kind of French sound to it, but then nearly half the records released on French labels are by foreign artists. euronews : So globalisation is even happening in electronic music? LG : There are no borders. In the beginning people in electro, producers and DJs, straight away they were people who had travelled. We never thought of making music just for an audience in our own country. Except right at the beginning perhaps. But for us, Europe has been there for a long time. To me, Europe is my family, it’s my home. I don’t live in France, so obviously I’m not “French-French”. I couldn’t care less. I’m even against this kind of idiocy. I travel all over the place and I don’t think the borders are closed. Mind you, the weirdest part of my job is going somewhere, the US for example, and having to wait for 20 minutes simply to get past customs. That shocks me, it’s so completely bizarre. euronews : When you’re on the internet, does downloading something, a music file or a film, immediately and automatically make you a criminal? LG : Oh oh! No, criminal is a big word. I think people must realise that when they are downloading music and video completely free from the web, they have to realise that a film, well, 200 or 300 people worked on it. So if someone decides to go and look for it on the internet and says “I don’t care, I’m going to download this film for free”, well, I’m sorry but that’s theft. Me, I make music, I’ve chosen to make music. And just me with my little name I provide a living for 10 or 12 people. I’m not even counting the record company. I have my musicians, sound engineers, there’s the guy who does the lights, there’s my tour manager (the guy who organises the tours and concerts), there’s my manager. So if tomorrow I don’t sell any more records, all those people would be on the dole. I’ve been making music for 20 years, I’ve chosen it as a living, it’s not easy. euronews : So you’re more or less in agreement with this law? LG : What I don’t like about this law, what worries me, is the idea of cutting someone’s internet access. It’s as stupid as, for example, cutting off someone’s water, heating or gas, because they’ve done something bad and saying, “There you are, you’re going to have no heating and you’re going to freeze all winter, and that’ll teach you!” You can’t do stuff like that, it’s not on. In the same way, you can’t cut off someone’s internet access today. It’s one of the only ways of communicating, people don’t write each other letters any more, people communicate by internet, work by internet, phone by internet, see each other, everything… Today if you don’t have internet, you’re dead. So I don’t know what you have to do. Perhaps we should tell people who pirate stuff, “OK now, for downloading, you’ve only got a low speed slow connection, like you had at the beginning of the internet, so it’ll take you three days to download a five minute music file; you’re going to understand very quickly that you mustn’t pirate stuff.” You have to find other solutions. 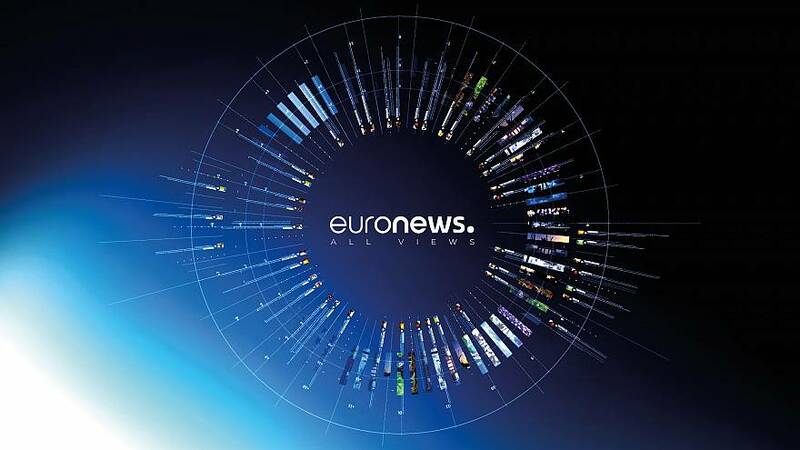 euronews : Are you interested in politics? LG : Yes and no… I watch what’s happening, but… euronews : Do any political events concern you directly, or effect your work? LG : I do sometimes use political events in my music. I think the last time I really lost my rag, it was during the French elections in 2002, when Jean-Marie Le Pen came second. I had a balck American drummer at that time. He also wrote stuff and the day after the first round of voting, I asked him to tell me a bit about how he felt as a foreigner, as a black foreigner, being in a country which was perhaps going to elect a man like Le Pen. “I said, “That must hurt, doesn’t it?” And he just started talking and went on talking for about 10 minutes without drawing breath. I recorded everything and wrote a track called “First Reaction”. All musicians, at one time or another, are influenced by what’s going on around them. It could be political events, or something going on at home with the family… everything influences us. euronews : You’re a father, you are 44… LG : 43 ! euronews : 43, sorry… How do you see the future as regards your son, are you going to encourage him to live abroad, to travel around Europe? LG : Oh that’s very clear, for my wife as well as for me. When he’s 16 or 17, we’re going to say, “Go, go with the wind, go now. You’re nearly grown up, go to Paris, to the the UK go where you like but just go somewhere.” Also, the fact of being a dual nationality family (Laurent Garnier’s wife is British), means that we’re already talking about it and he’s only 5 years-old. He already travels a lot. He’s going to be a real European, that’s for sure. euronews : Thank you.